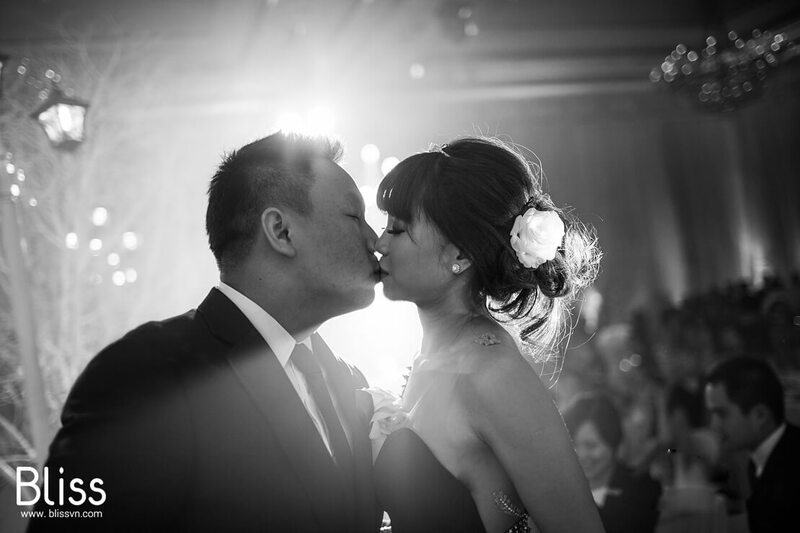 Coming home from Da Nang city, Bliss Wedding Planner immediately worked on the biggest event. 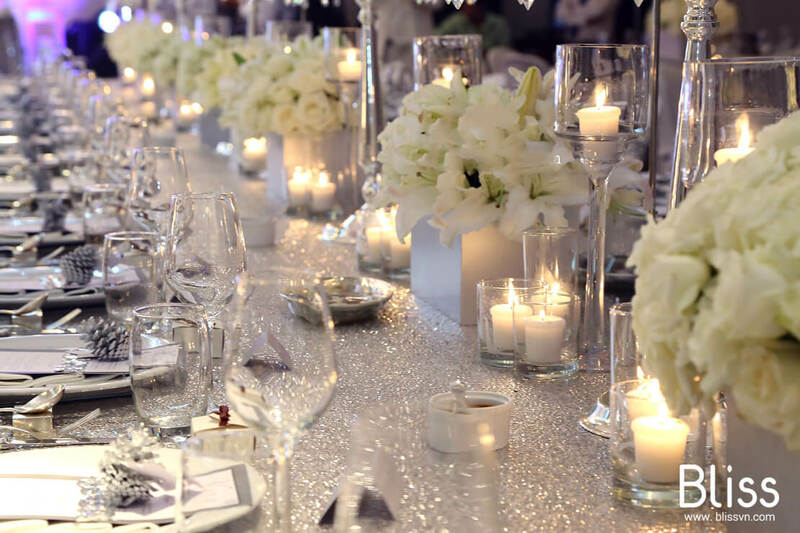 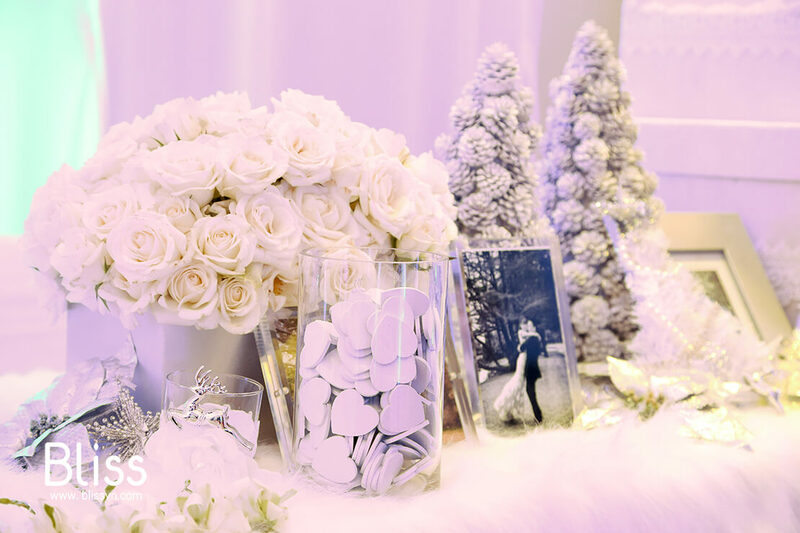 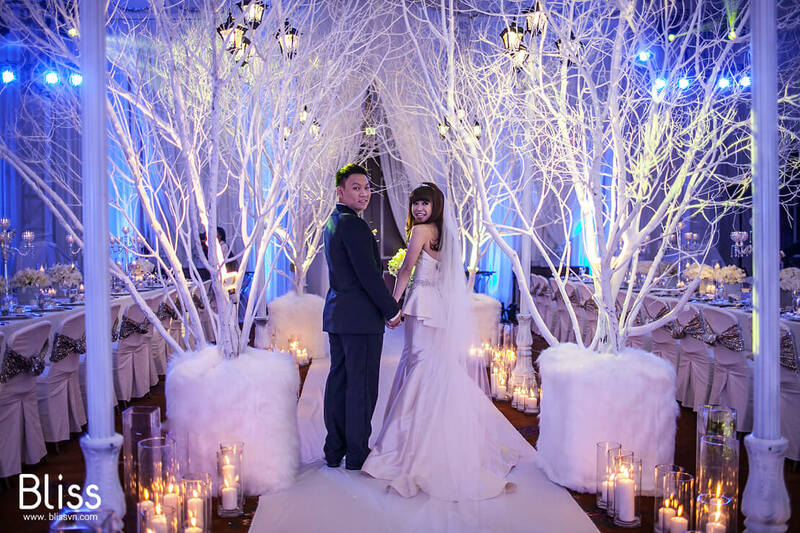 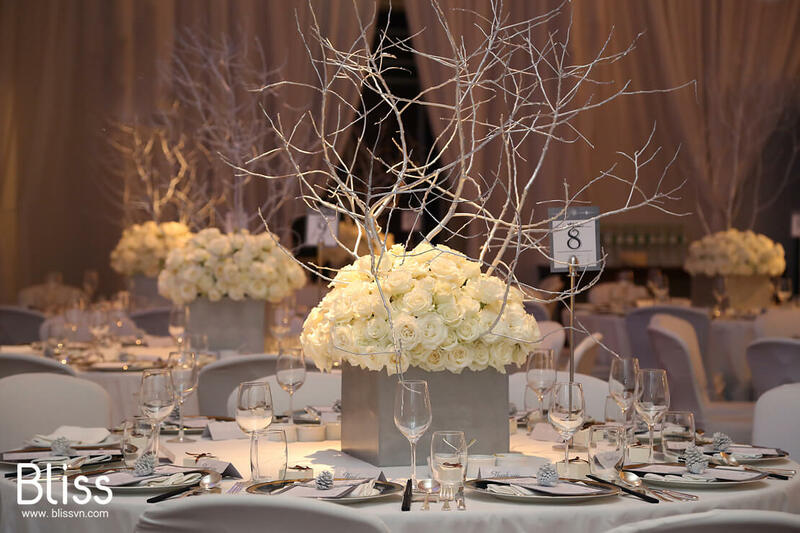 From the inspiration of famous “White Christmas”, Bliss Wedding Planner developed the ideas of a wedding which would bring an early Christmas season to Park Hyatt Saigon. 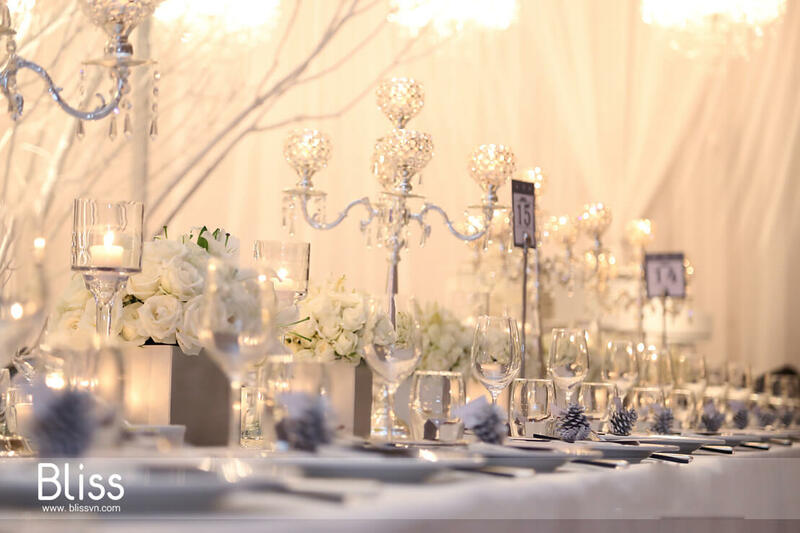 In 10 hours from late night to twilight the day after, Bliss Wedding Planner managed to “whitening” the whole ballroom with tons of high standard white silk. 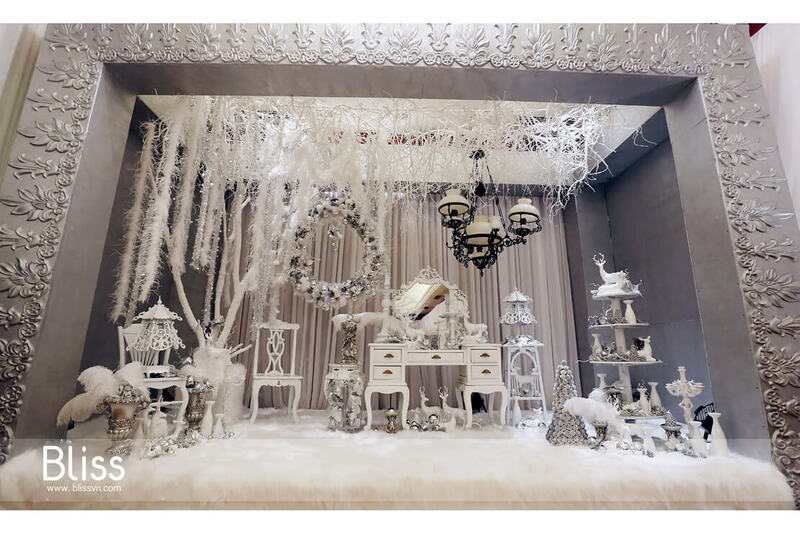 In the requirement of Christmas silver and white style wedding, Bliss Wedding Planner imported thousands of pineals from Da Lat city, white sparkling Christmas trees and plenty of Christmas decorations from hundreds of suppliers in Ho Chi Minh City. 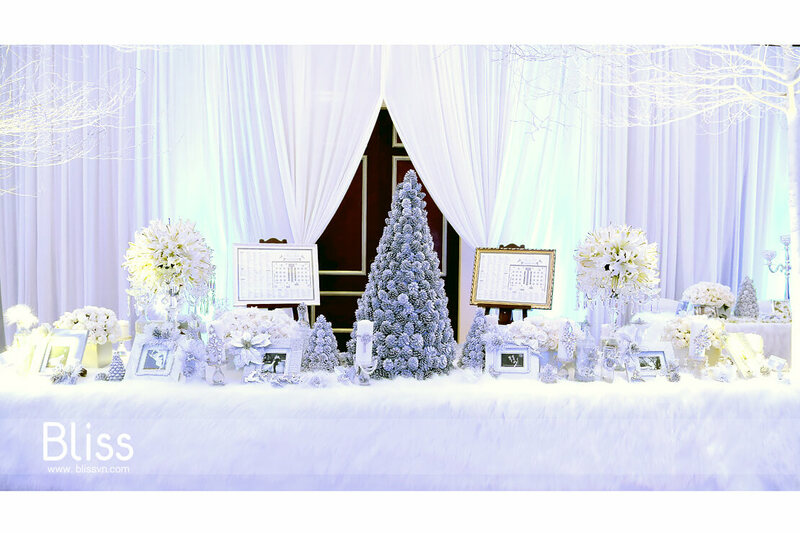 Each detail was designed sophisticately to fill the air with Christmas spirit and snowy feeling. 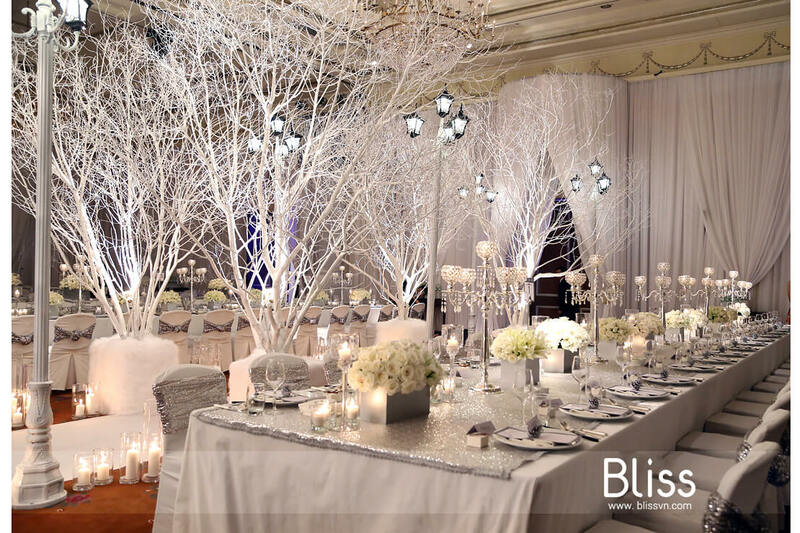 Not only just a simple stage in the ballroom but also a truly marvelous wedding aisle did Bliss Wedding Planner design in this wedding. 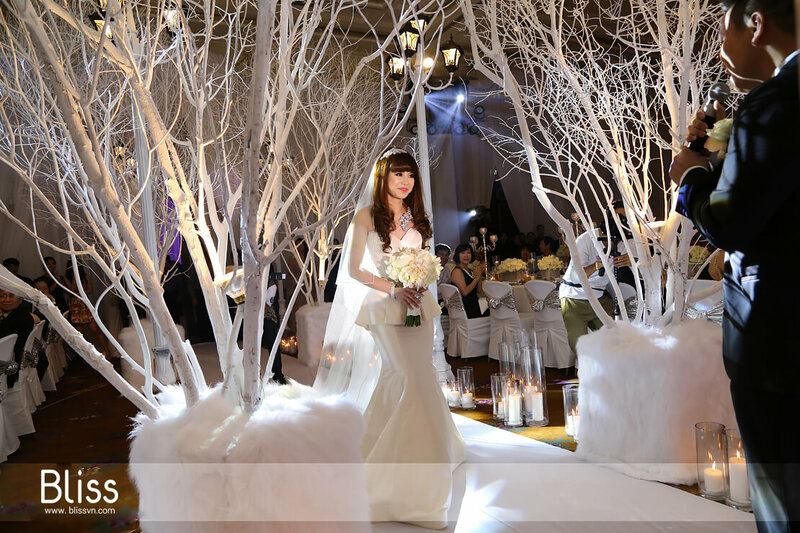 The New York pavements filled with the romantic lights in winter was inspired and brought to Park Hyatt Saigon. 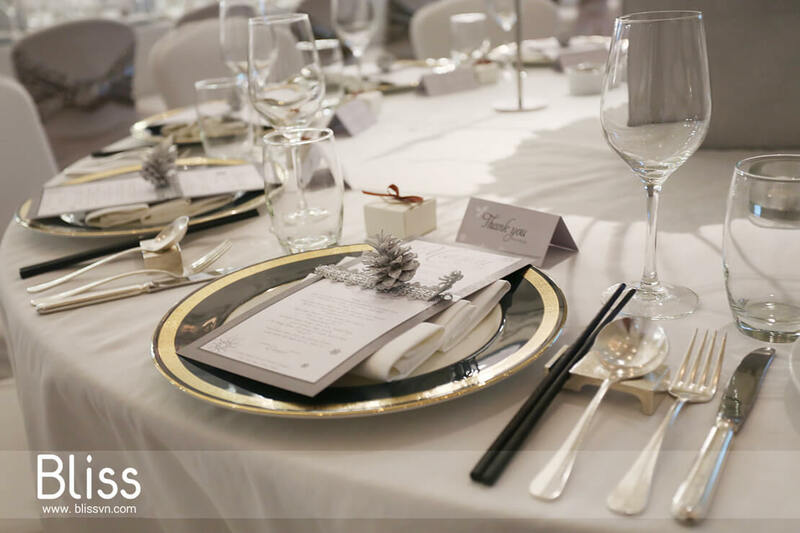 Last but not least, all of the wedding items such as menu, thank you card etc. 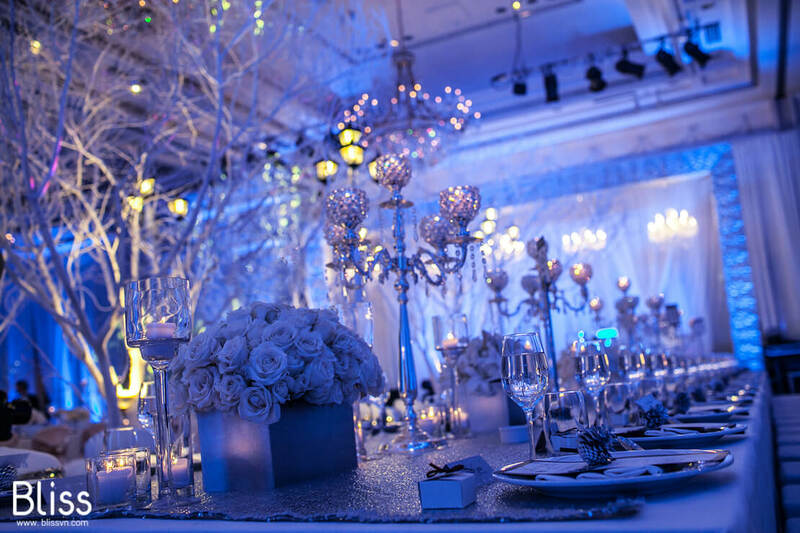 were also specially, one-of-a-kind designed.